Help your child meet their target due dates by getting out your family calendar and marking all the due dates. Block out times for trips to the library if necessary and other work time. Look for any scheduling conflicts, such as vacations, and discuss any conflicts or dificulties with Mr. Shumway. As your child works on his or her project, he or she will likely face some challenges. To help, ask questions to help your child figure things out; don't just give them the answers. Open-ended questions, such as "What else could you do to solve this?" or "What is keeping you from moving on to the next step?" are best. Sometimes, just talking it out can help children get unstuck. If not, ask the Mr. Shumway for help. Respect your child's independence in learning by helping at the right level. Click on the file below to get a copy of the study guide for the chapter 3 test on the human body. In this first lesson we will get an overview of the human body systems and how they all work together to perform life processes. 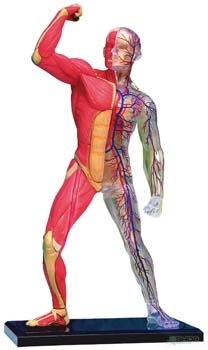 This lesson reviews the functions of the major body systems. Click the image below to get a short review and quiz to test what you have learned. This is excellent for studying and preparing for your science test. The following video gives a brief overview of the function of our digestive system and a demonstration on how it works. Pay attention to the order in which food is digested. Enjoy! Check this video out for a more detailed view on how the digestive process works. This video shows an excellent demonstration that shows how your respiratory systems works. Check it out! Review the lesson and test what you know by clicking here. This short video does a good job of explaining the basic function of the urinary or excretory system. This chapter will explore the California Content Standard for Life Science. Students know many multicellular organisms have specialized structures to sup­port the transport of materials. Students know plants use carbon dioxide (CO2) and energy from sunlight to build molecules of sugar and release oxygen. Students know plant and animal cells break down sugar to obtain energy, a pro­cess resulting in carbon dioxide (CO2) and water (respiration). Test Your Knowledge: Click here to review the concepts learned in this lesson. Photosynthesis: Click here to learn more about photosynthesis and respiration. Use the jeopardy slides to help you prepare for the chapter 2 science test. needed for life and growth. a.Students know many multicellular organisms have specialized structures to sup­port the transport of materials. Main Idea: Plants and animals are made of cells. Cells are the smallest units that can carry out the basic processes of life. Check out this video. Music can be a great way to learn complex concepts like cellular organization. Here is another video made for sixth graders. Also very good. Let me know which one you like better. Main Idea: Living things are classified in kingdoms so they can be studied. Watch this video to help you better understand how organisms are classified.